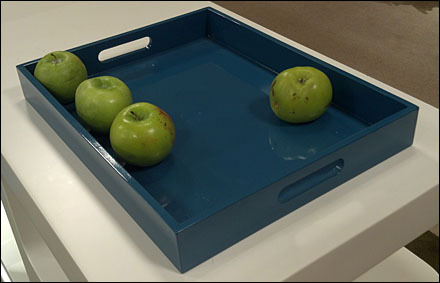 Believe it or not, this tray of apples is from a high-end department store setting. Their purpose is unknown, and none of the merchandise or surrounding displays related. 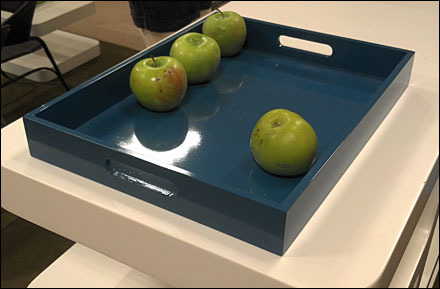 Maybe they were intended purely to provide an apple-like fragrance or ambiance to the store. Or maybe I accidentally shot someones lunch thinking it was Visual Merchandising. You decide. CLICK the thumbnail for an alternate slant on this Still Life.